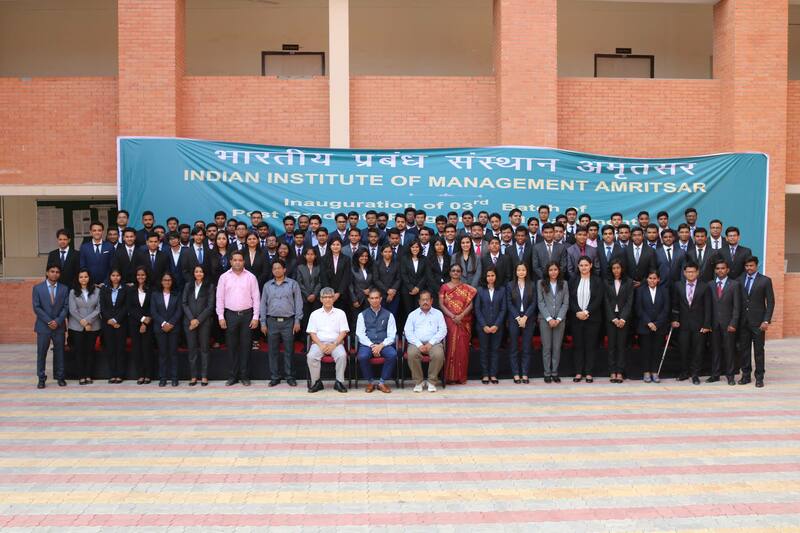 “Learn from the laws of Life”, was the lesson that echoed through the minds of students as Mr. Nawab Shah started with his session at IIM Amritsar on 13th November 2016. Mr. Shah then steered the session towards his humble beginning in the film industry, how he took heed to experiences and learned to grow from it. He then added that one should be open to new adventures in life by the example, how even after working for so long in the industry he was introduced to a whole new perspective as he joined dramatics. The guest then took the conversation towards the role of acting on a day to day life and said that “Life is a stage and we are all much-unrehearsed actors”. He further added that everyone does act in their life as they do different demeanors’ through different phases of life. Mr. Shah has also talked about the makeover of Bollywood into a corporate, the attribute of satisfaction and self-exploration associated with theatre. The audience was left spellbound as he concluded the session with a poetic note by reciting some extracts out of Mukti Prasang, a Hindi poem by Rajkamal Choudary in 1966.